Trigg has the most beautiful beaches in Perth, particularly Trigg Beach which popular for board riding and surfing. But we believe it has more to offer than that. Tucked away in this lovely little suburb are great cafes, cosy restaurants, unique accommodations and many other establishments just waiting to be discovered – that could be your business! At Lethal Graphics, our goal is to help local establishments spread word about their business and stand out in the digital space. We truly feel that it is our obligation to help businesses like you maximise your potential. Lethal Graphics is a digital agency specialising in web design and development. We are a team of creatives and big thinkers fuelled by innovation and equipped with the latest technology. We build websites not just to paint a good image for our clients but to move the needle forward. It is our fundamental mission to delight clients as well as their audiences. 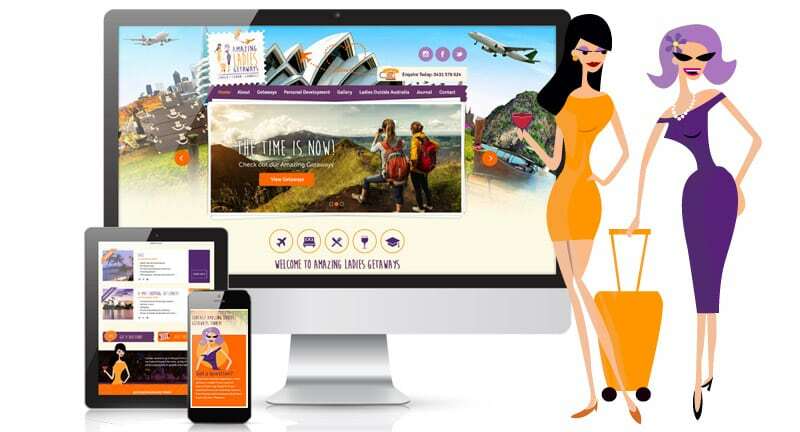 We create web experiences that improve the way their customers interact with their brand. Every website we build is designed with seamless functionality and maximum interactivity in mind. The user experience is central to our design philosophy. Because we believe that responsive, intuitive and user-friendly websites are the ones that convert and generate real results. Having a beautifully executed feature-rich website makes a good lasting impression. However it is not always enough. If you want to see your results go through the roof, you need to fuel your website with proven digital strategies. At Lethal Graphics, we tailor our digital solutions to our unique needs and goals. Whether you want to raise brand awareness, boost customer engagement, generate leads or increase your profits, we will work out a strategy that will give you results fast! We take an intimate look into your objectives and work with you to come up with initiatives and deliverables that will get you closer to success. At the same time, we look at the big picture and take new approaches or make bold moves if we think it’s what your business needs. You can trust our experienced team to establish and grow your online presence. Let Lethal Graphics take your business one step ahead. Tell us about your project!